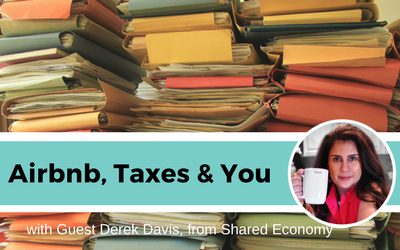 Airbnb Taxes made easy with special guest, Derek Davis. Certified Public Accountant from Shared Economy. If you have NO IDEA about HOME SHARING taxes and how to make them work for YOU, then don’t miss this episode!